Without a strong focus on the financial impetus behind a business, it is much harder to allow that company to flourish. If you are looking for a way to ensure that your business is as valuable and as financially tight as possible, then there are many aspects that are worth looking at. One in particular is to look into what assets your business has, and what their true value is likely to be. This is something that can be extremely time-consuming to do alone, but with a little understanding and some help from the right people it can be made a lot easier to do. You might at first be wondering why assets are even important to your business. As it happens, they are important for a number of reasons, as they serve many functions in most businesses. For one thing, assets can be used fairly reliably and repeatedly to generate more revenue, something that can itself hold great power for a company. They also increase the value of your business, just by existing and belonging to the company. Finally, in their own way most of the assets you have will help to facilitate the actual running of your business as well. This, in turn, will mean they have more value to them too. If you are a little unsure as to what actually counts as an asset in your business, the answer is relatively straightforward: anything that has real value in some way is an asset of some kind to your business. Clearly, different assets have differing levels of value, but even a box of stationery can be viewed as an asset to some degree. More valuable assets include any commercial property that your business owns, the technological equipment in your offices, and even intellectual property such as trademarked ideas or data held on computers. As you can see, assets come in many forms. It is a good idea to get to know the value of your assets as well as you can. Doing so will mean that you have a clearer idea of what it is your business is worth as a whole, and will enable you to make fuller and more complete plans for the future of your business as well. 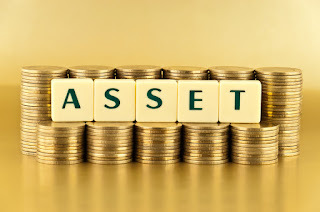 For many kinds of asset, the value is fairly easy to determine. You can, for example, easily find out the value of your office building. But intellectual property might be harder to value, and it is likely you will need to take more of an estimate for those kinds of assets. However, even taking evaluations is a good move, as the clearer you are on their real overall value, the more control you will feel you have over the financial future and stability of your company. With a strong grasp of the assets in your business, you will find yourself in a better position from which to make critical financial decisions.